In Bagisto, there are three types of product relation viz Up-sell, Cross-Sell and Related-product. This is the best way to increase customer experience in your bagisto store. Here we will discuss Up-Sell, Cross-Sell, and Related Product. Up-Sell Product is a product, that you would like the customer to buy instead of what they are actually viewing. They are supposed to be belonging to the same category of the product but with advanced features, better quality and pricey. For example, you would like to buy a Speaker you are viewing, then you can see the other model similar to the one you are viewing but with better characteristics. On Admin Panel Click on Catalog>>Products. Under the Linked Product Section, you can start typing the name of the product in the up-sell field. The product suggestion will show the suggested product as below. Select the one you need and then click on Save. To simply remove it, click on the Cross icon. 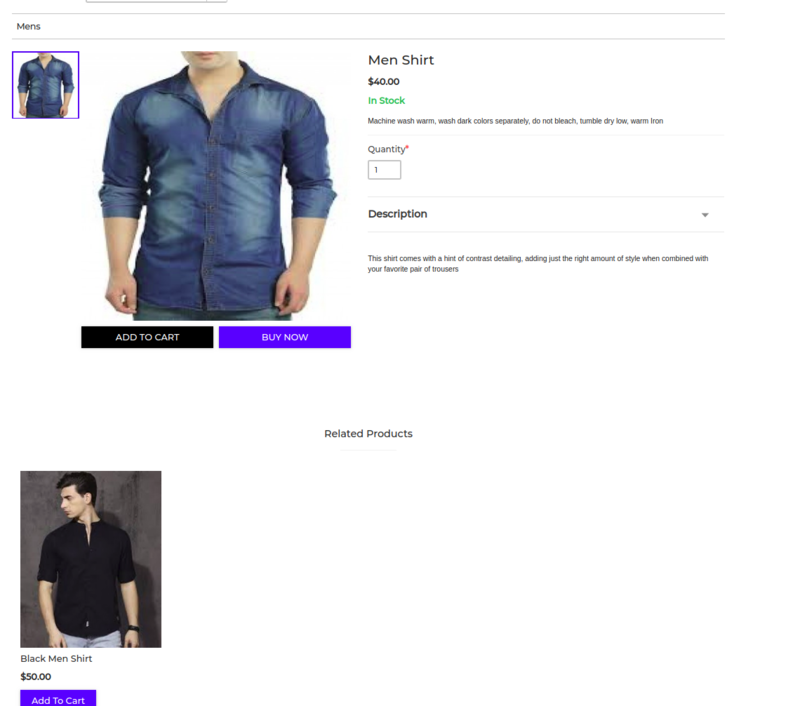 Up-Sell Product will be visible on the Product Page front end as below. A related product is a similar type of product which a customer wants to buy. For example, a customer wants to buy Men Shirt then you can see a color variation of the same pattern type product visible on the bottom. On Admin Panel Click on Catalog>>Products. Under the Linked Product Section, you can start typing the name of the product in the Related Product field. 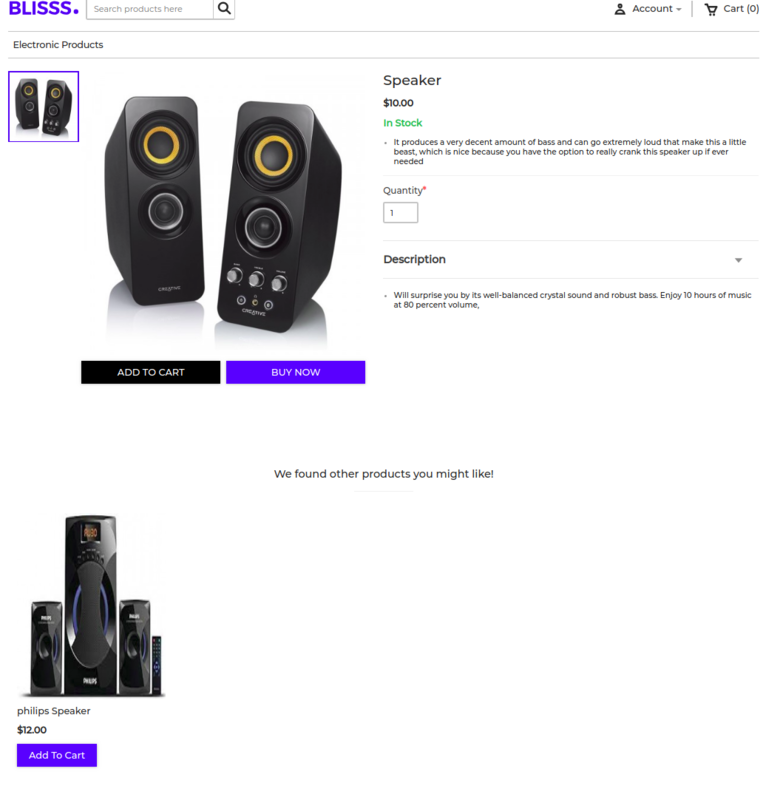 The product suggestion will show the suggested product as below. Select the one you need and then click on Save. To simply remove it, click on the Cross icon. Related Product will be visible on the Product Page front end as below. Cross-Sell Product is a product, that you would like the customer to buy additionally with which they are already buying. 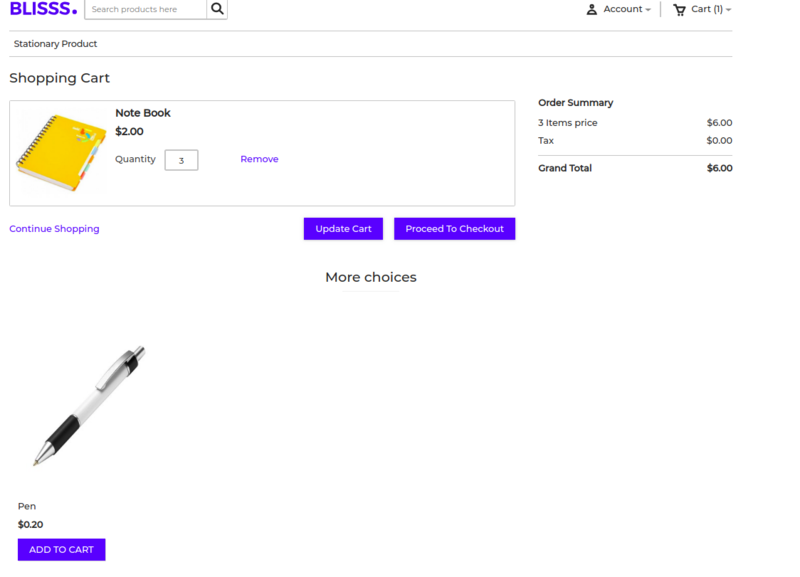 For example, a customer is buying a Notebook then you can sell Pen as a Cross-sell product. Click on Catalog>>Products. Under the Linked Product Section, you can start typing the name of the product in the Cross-Sell field. The product suggestion will show the suggested product as below. Select the one you need and then click on Save. To simply remove it, click on the Cross icon. Cross-Sell Product will be visible on the Product Page front end as below.